（February 27, 2008 – Macau）World Mahjong Limited, founder of the prevailing World Series of Mahjong tournament, will partner with the global premium online mahjong platform, Mahjong Time, to bring a new era of mahjong tournament to the gaming world. At its sponsored luncheon during the Asian i-Gaming Congress today, Mr. John Hardyment, CEO of World Mahjong Limited (“WML”), announced its new exciting collaboration with Mahjong Time as the official online mahjong software and platform provider for the second-annual World Series of Mahjong. Licensees of Mahjong Time will offer players the World Series rule set exclusively online, and run qualifying tournaments with guaranteed seats at the championship finals and many other exclusive benefits. “We are excited to partner with the leading provider of live, professional mahjong tournament featuring the highest prize money in the history of mahjong”, said Mr. William Sutjiadi, CEO of Mahjong Time. “We are the only solution for ambitious gaming operators who aim to explore the enormous potential of mahjong and promote their products globally.” The said partnership is intended to build a stronger and more dynamic annual global mahjong event in the years to come. Following the remarkable success of the first World Series event with nearly 300 mahjong players from around the world, the intense three-day tournament will return this year at the Wynn Macau from September 19th to 21st, featuring the same minimum total prize pool of US$1.0 million. Previous event sponsors Wynn Macau, Blue Girl Beer, Air Macau, PacificNet and Cityline, with the addition of Mahjong Time and the leading Cognac Brandy Remy Martin, will team up again to deliver the thrill of playing to the mahjong crowd. Canada - the Canadian qualifying tournament will be announced in the coming weeks. More official, national satellite tournaments will be announced soon for China, Japan, Europe and other countries and territories. For those who wish to experience the excitement of last year’s tournament, WML has produced 13 one-hour episodes of the event using 14 cameras in the production, the latest editing technology, an experienced team of sports producers and dynamic 3-D graphics. Audience could now enjoy the very best modern television production in Cantonese, English and Mandarin with complex and simplified Chinese subtitles. “The World Series of Mahjong has already been aired on Pay per View in Canada over the Chinese New Year holidays. We are presently determining our broadcasters in the United States, Asia and Europe and will announce the global distribution of the episodes very soon”, expressed by Mr. Richard Young, Executive TV Producer of the World Series event. In the 13 episodes, global audience has the unique opportunity to experience real mahjong, a healthy sport which demands good memory, accurate calculation, psychological maneuvering and strategic thinking. The World Series of Mahjong was launched in 2006 by WML, a group of international media veterans and entertainment industry practitioners. Headquartered in the Greater China Region, WML aims to organize major and high quality international sports and entertainment games. The World Series of Mahjong gathers top mahjong players from all over the world to vie for the enviable title of “World Mahjong Champion” and the biggest prize money in the history of mahjong. 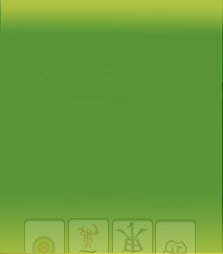 Details about the event – enrolment, rules and regulations and grading scheme etc – are available on its official website www.world-series-mahjong.com.